The Matt Ward History Experience will interview Dave Weinberg in upcoming weeks. This interview will be part of an upcoming episode of the blog's monthly podcast. 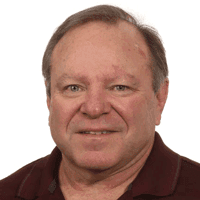 Dave Weinberg is a sports journalist from New Jersey, who has covered the Philadelphia Eagles, boxing, MMA, golf and high school sports for the Press of Atlantic City since 1986. Weinberg was inducted into the New Jersey Boxing Hall of Fame in 2015.